If you are one of the millions of Americans taking prescription medications, you are probably already aware that prescription and health care costs can be very high. Some people are lucky enough to have prescription plans to help cover these costs, but some are not. Even if you do have a prescription card, high deductibles and co-pays can still wreak havoc on your monthly budget. But there are ways to help reduce those costs. Here are seven ways to save money on your prescriptions. Ask your pharmacist if you can replace an expensive prescription medication with a generic medication. This is not always an option, but rest assured that in order to be an FDA approved drug, standards have to be met including drug effectiveness and strength. Sometimes your health care provider can give you a sample of the medication they are prescribing because a drug company representative has provided samples for them to distribute for their patients to try. It is also possible that your physician knows of a charity care or hardship program to help defer part or all of the costs of your medication. You have nothing to lose by asking. If you have access to more than one pharmacy where you live, check the price of the medications you are taking with each of them. You might find that your pharmacy of choice is higher in price than others in the area. Of course, convenience is also a consideration. If you have to go far out of your way to save only a dollar or two, it might not be worth it. Does your pharmacy deliver your pills to you at your home or office? They might be charging you a fee for this service. Maybe you could pick them up yourself and save a few extra dollars. If you get refills often, even a few dollars for each delivery can add up in a hurry. Could your doctor order your pills at double strength? Some medications are not meant to be split, but some can be safely cut using a pill splitter and save you a little money. Ask your provider or pharmacist about this option and whether or not it could save you a little dough. Did you know some drugs can be prescribed in 90 day quantities instead of 30 day quantities and not cost three times as much? Check with your doctor to find out if this option is available for your prescriptions so you can save money. Check to see if there is a less expensive over the counter medication you can use instead of a more expensive prescription whenever possible. However, if you have prescription coverage on your medical plan, it might actually be less expensive out of pocket to fill the prescription. You can even check out over the counter drugs on Amazon to see if there are any potential savings. As much as you want to save money on your prescriptions and health care costs, you should always consider your health first. Saving money is not worth risking your life or your health. 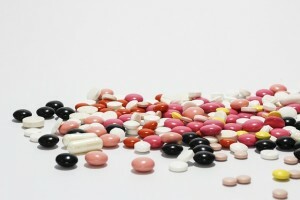 Have you done any of these things to save money on your prescription costs? How else might you save on prescriptions? Great tips! I’ve used all of those methods to save. I also check the manufacturer’s website for coupons and other assistance programs when a generic isn’t available. Great tips Kayla! I always ask my doctor if it is possible to do pill splitting because I have done this before and I know I can save much money from doing this. I’m glad you ask your doctor first!